With the brand new Turing architecture GPUs Nvidia is making overclocking easier than ever before. The RTX 20 cards will also be supporting Nvidia’s new Scanner tool. 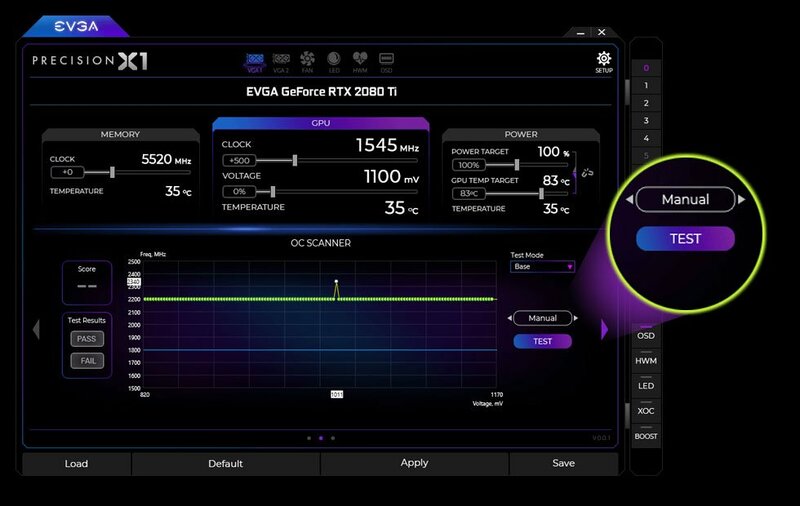 Although the tool will not be available directly through Nvidia, the partners will be integrating the scanner in their third-party overclocking applications. Nvidia showcased the Scanner tool integrated into EVGA’s Precision X1 overclocking software. The Scanner tool enables the user to one click overclock their Turing GPUs. The way overclocking GPUs works is that users slowly turn up the clock speed using any overclocking software like the MSI Afterburner, until game performance stays stable and they don’t experience crashes, the same can be realized by running a benchmark test like Unigine’s Heaven benchmark too look for performance gains and crashes. Once the card’s performance starts becoming unstable, i.e, you start experiencing artifacts on textures or straight up crashes the Core Voltage (mV) for the GPU is gradually increased to support the clock speeds. This process is repeated until you reach the highest core voltage and clock speed your GPU can support at a stable rate. Sounds complicated? That is because it is. You should always enter the realm of overclocking with utmost caution and knowing exactly what you are doing in order to not brick your hardware may it be GPU or CPU. With the Scanner tool, Nvidia lets the software API and its algorithm take the reigns and ‘Scan’ for the most stable clock speeds and core voltage. It does so by gradually increasing the clock speeds in automated steps and whenever it experiences a crash in performance, it brings up the core voltage to support the clock speed and does so until it reaches a point where it cannot get past the crashes, putting your GPU at a pretty better performance point than it was before you had clicked the Scan button. Using the scanner tool Nvidia was able to boost the clock speeds of the RTX 2080 up to 2130 MHz at a voltage of 1068mV. For reference, the stock boost clock for the RTX 2080 is 1800 MHz, and when they started with the OC scanner the core voltage was sitting at around 740 mV. 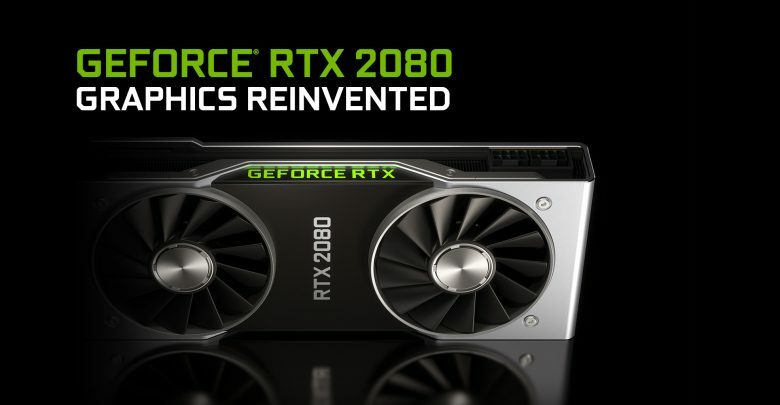 Nvidia had mentioned before the Turing architecture was built for overclocking and with the functionality provided with the Scanner Tool they have made overclocking easier for anybody who wants to get the most out of their brand new RTX cards.